All instructors at St. Petersburg Yoga have been trained through our Yoga Training programs, and are certified with the Yoga Alliance. In addition to teaching group classes, most of our instructors are also available for private one-on-one sessions. Have you fallen in love with what Yoga has done for your mind/body/life, and want to help facilitate others on their journey? St Petersburg Yoga offers 200 and 500 hour Yoga Alliance certified teacher training programs. 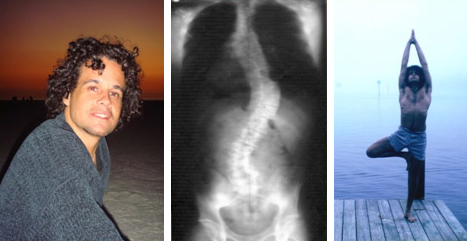 As the founder of St. Petersburg Yoga, Chris Acosta began a daily practice almost 30 years ago while in a full body brace (for 4 years and 23 hours a day) to first heal his extreme scoliosis. The degree of scoliosis consisted of two curvatures with the largest at almost 50 degrees, multiple herniated discs, pinched nerves and spinal arthritis. Freed from the severe pain, deformation of the body, and armed with these successes, he focused on the greater liberations in which Yoga was originally designed. Due to his hands on experience, Chris has become one of the area’s most admired and prolific instructors. He was showcased in, “Best [Yoga Instructor] of the Tampa Bay” by DuPont Registries (July 2007) and is known as a teacher’s teacher. He has taught tens of thousands of classes over his career. Although Chris primarily instructs one-on-one, he also teaches a large number of group classes, corporate classes, workshops, lectures, retreats and is the primary instructor of St. Petersburg Yoga’s 200 and 500 level certifications offered in the Yoga Teacher Training Programs. Chris aspires to demonstrate the true power of authentic Yoga and the amazing abilities it has to transform any area that binds and limits, from the pain and handicaps of the body to the mental traps that cause seemingly inescapable cycles of suffering. He holds an E-RYT 500 educator level certification from Yoga Alliance and is also honored to be a part of the distinguished faculty at the Omega Institute in New York. Known for developing Yoga Traction Therapy, Chris instructs from many influences: Iyengar, Therapeutic, Restorative, Ashtanga, Power, Vinyasa, Pranayama, Mantra, Meditation, Yoga Philosophy, Yoga Sutras, Upanishads and the Bhagavad-Gita. 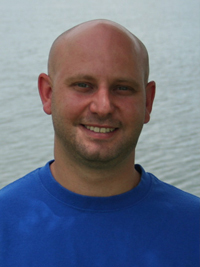 He specializes with the injured and very beginner to the intermediate and most advanced students. Know your body…Observe your mind. When Jill first stepped onto the mat over 15 years ago she knew she had discovered something special. After a few months of practice, she realized yoga would be a lifetime journey for her. As a triathlete and distance runner, she saw the value in the softer side of movement, knowing it would bring balance, strength, flexibility and mental focus to her busy life. Her Classic Fundamentals classes mix a blend of stress-relieving breath work, energizing strong postures and tension releasing flexibility postures. Her Power Swing classes incorporate traction therapy and creative use of the yoga swing for building core strength and harnessing the benefits of hanging upside down in full inversion. As an active triathlete, she also works with endurance athletes, teaching the benefits of muscular balance: muscles strong enough to do the action and long enough to cover the distance faster, without injury. 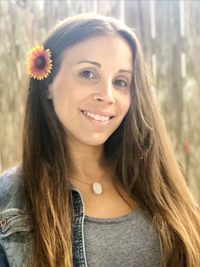 Julianna came to St Pete Yoga seeking relief from acute anxiety and panic attacks, which became a daily struggle for her when she was diagnosed with Thyroid Cancer in 2010. With the guidance of the St. Petersburg Yogi training program she began a dedicated practice, centered on using the fundamentals of Yoga to understand and then dismantle her anxiety. With discipline, she saw the frequency and intensity of her symptoms decline. Over the course of the first year she experienced the liberating power of Yoga on her own life, as her panic attacks dissipated and strength began to be uncovered. After finding limited relief in other interventions, Yoga/Mindfulness tools not only temporarily relieved symptoms of anxiety, but helped her discover and transform the roots of her anxiety. Julianna’s first-hand experience using Yoga for transformation is strong motivation to be involved in helping others use Yoga to tackle their unique mind/body challenges as a path to discovering potential. A native of Mexico, yoga therapist, licensed massage therapist and mother of two, Paola was first drawn to Yoga for pain relief. 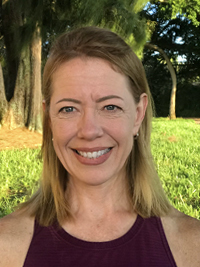 She used yoga therapy to heal her chronic shoulder and neck pain and even more importantly, used the process to tackle the underlying causes: poor posture, unmanaged stress and lack of self-awareness. Armed with this training and a thorough understanding of anatomy, Paola found relief from her pain and starting helping others. But she sensed there was more, something bigger, something that could mean life-changing solutions, rather than temporary patches. 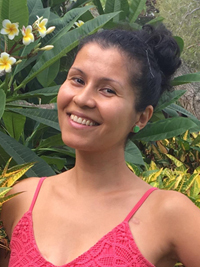 In her search for solutions, Paola found Yoga to be effective for managing pain in the body and perhaps more importantly, Yoga seemed to highlight the patterns of behavior that often are at the root of the pain, discomfort and disease. Paola is now not only pain free but has also found harmony in all aspects of her life and feels better equipped to deal with life’s ups and downs. Her classes are designed to provide a safe atmosphere for self-exploration through the fundamental teachings of yoga: breath, stillness, edge and beginner’s mind. Suited to all levels, her students are guided to use the practice to meet their individual needs and create an awareness of how those needs change each and every day. 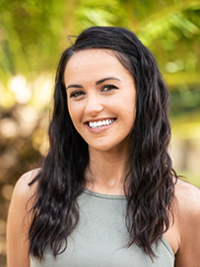 Coming into Yoga with physical pain from scoliosis and a hard-pushing lifestyle, Heather quickly began taking the advice of her teachers and started applying what she was learning in the classroom to the bigger classroom of her life. Though difficult, she couldn’t help noticing the same transformative effects happening in her body and her life. Like so many of us today, Heather found herself overwhelmed in a high-stress life of perfectionism and self-bullying, spurring a process of anxiety and depression. In contrast to this physical and mental drain, authentic yoga directed her towards balance and the peace that organically arises in its place. Heather teaches a variety of classes, all of which you can expect an accessible approach that both helps and inspires anyone to meet themselves where they are and encourage growth. Rob Howland tried to look like everyone else in yoga classes at the gym for years until he discovered the principals of more authentic yoga as practiced at St. Petersburg Yoga. Through an exploration of the fundamentals of authentic yoga, such as balance and edge, Rob has developed his practice, knowledge, and transformed liabilities into strength. A disability in his right arm has lead him to the belief that yoga is a potent therapy for physical limitations, but through seeking greater awareness he also found space and understanding on mental, spiritual, and emotional hang-ups. Teaching yoga with exploration and observation has revealed to him that every system of the body and mind can benefit from the technology of yoga. He teaches from the perspective that yoga classes should be simple, nurturing, and challenging to our dispositions. Whitney is a RYT-500 Yoga Therapist, Mom and formerly an elite athlete and business woman. Along with suffering the loss of her brother, this lifestyle created pain. 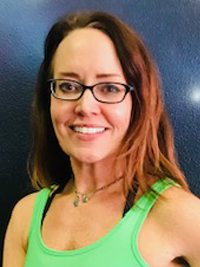 Whitney teaches the Yoga mindfulness practices in the Restorative Therapeutic class that helped her change the underlying issues that caused body, brain and life pain. Physically you can expect 70% stretch and 30% strength postures. Her class is particularly good for the stiff body and those that have body aches and pains. This style specifically uses techniques for evaluating the imbalanced area/s of the body and further works on the more needed side. Christi is a current Yoga Therapist finishing up her Yogi Training, Registered Nurse, and Mom. She experienced the powerful impact that full spectrum Yoga and all its mind, body, life and spirit tools can have on the human condition. Chemen is a native of Turkmenistan, a small country in central Asia. She is a concert pianist, wife, mother of a teenage son and fluent in five languages. After being diagnosed with breast cancer, Chemen underwent a full year of treatment. 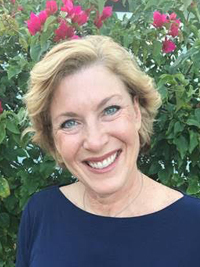 The emotional and physical stress, as well as the neurological side effects of chemotherapy, lead Chemen to begin her journey at St. Petersburg Yoga. Her experience proved to be life-changing. Yoga lifted her spirits, playing a huge part in her physical and mental recuperation, creating a renewed outlook on life. A year later, she “feels stronger, more energetic and happier than ever”. Chemen teaches many different styles depending on what is most balancing for the student. 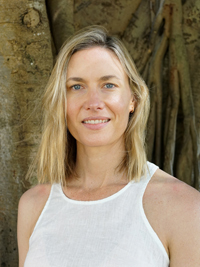 She specifically uses an approach to Yoga that encourages her students to meet themselves where they are and find their edge in body, brain and life practices. Jenny instructs children and adults of all ages, in addition to students with disabilities. She guides everyone through a mix of brain, body and life practices that meet each person exactly where they are as well as encouraging growth. Jenny turned to yoga following years of body pain and chronic anxiety. Then, after observing how yoga helped her disabled daughter find ease through an intensive surgery and recovery, Jenny decided to pursue yogi training. Jenny’s Classic Fundamentals class is a balancing mix of strength and stretch, with an emphasis on using mindful breath and movement to manage anxiety and stress. In order to maximize their practice, Jenny teaches her students to carry these mindfulness tools off of the mat and into their daily lives. Tracy is a Mother of four (sometimes more), foster parent and wife of a retired active-duty military soldier. She is also a twenty-plus year certified fitness instructor with a BA in Dance Education. 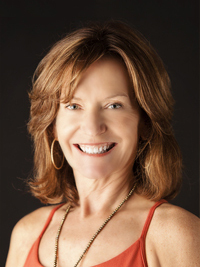 Tracy had always approached yoga in a supplemental way, using her practice to soften the hurt of life, soften the hurt of over-exercising, soften the anxiety of life and worry. When she began her journey at St Petersburg Yoga, Tracy had severe paralysis in her right arm due to spinal compression, plus her chaotic life raising four-plus boys left her feeling anxious and highly reactive. Tracy did know however, that all of the answers resided within her. The practice and principles of authentic Yoga had brought her to center. Coming from and transforming these body, mind and life issues is how Tracy challenges herself as a teacher. Coming into her classes, you can expect a real, practical and pragmatic style of teaching aimed at making real changes in our lives. Yari is a native of Puerto Rico and is a mother of a teenage daughter. She came to yoga after injuring herself while employed in the fitness industry. Her work environment had become increasingly more driven to physical results, with less concern about client’s well-being. Transitioning into Yoga, Yari slowly began to unpack and understand some of the underlying issues that setup her injuries. She teaches from what she learned about appropriate use of exercise, in form and technique as well as psychology. With time and self-awareness, she healed her shoulder and neck issues… and more importantly gained a greater awareness of the mental perspective that drives many to overdo in their body, mind and life. 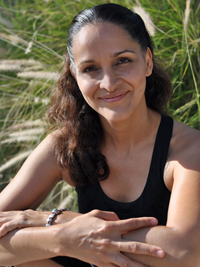 Yari teaches Classic Fundamentals, Restorative Therapeutic, Kids Yoga and Yoga Meditation. You can expect an even mix of body, brain and life Yoga in her classes. Daniele is a licensed massage therapist and registered yoga teacher as well as a speaker and educator at the Aveda Institute. Her career is devoted to helping others, when they are ready… towards whole body, mind and life wellness. She came to the larger whole/full system of Yoga looking to change some big challenges in her mind, body and life. Daniele was struggling with anxiety, PTSD, compulsivity, impulsivity and cervical neck issues plus severe musculoskeletal stiffness. Guided by her Yogi teachers, she was pointed to and has disciplined herself in balancing practices for her issues. Though it is always difficult to do the things that have the most growth for us, over time Daniele witnessed first-hand the real power of doing the right practices. You can expect Daniele’s classes to emphasize the foundational practices of evaluating for balance (not just in the body); starting anew each time we practice; and how to evaluate the right depth for a given individual.